With carpet cleaning Fort Collins does have different options available, but you will clearly only want to hire a company that you feel you are able to trust. Here at Comfort Carpet Clean, we specialize in not only getting your carpets spotless, but we will always do so in a timely and professional manner. We are also fully aware that people will often try themselves to remove those stubborn stains or marks that have been left there in a variety of ways. However, the truth of the matter is that it can often take special knowledge and equipment to ultimately get them back to their pristine condition and we have the ability to do just that. When it comes to Fort Collins carpet cleaning, you will also want to feel that the company in question has a good grip on not only how to deal with any problems, but that they are confident in also dealing with it. As we have been in the industry for a number of years, there is nothing that we have not yet come across with our clients allowing us to tackle any problem that we may encounter when cleaning your carpets. Furthermore, we are also fully insured so you can relax safe in the knowledge that all potential eventualities are covered should they occur. We take pride in our reputation and constantly strive to reach the heights that we place upon our own selves each and every time we deal with a client. For us, nothing but the absolute best is acceptable. In addition, we are not the kind of company that strives to complete as many jobs as possible in any given day just to boost our profits. Instead, our technicians will focus entirely on the job before them and will not leave until both they and you are happy with the finished result. After all, customer satisfaction is always going to be key as well as our own levels of satisfaction with the finished product. We also believe that it is important for you to realize that not every carpet cleaning company based in the Fort Collins area is the same. Aside from the potential for the job at hand to be rushed, there can also sometimes be an acceptance that a stain just cannot be removed. For us here at Comfort Carpet Cleaning, that is not an option that is viable for us in any way as our knowledge of what lies behind different stains and the best solutions for removing them is going to be second to none. 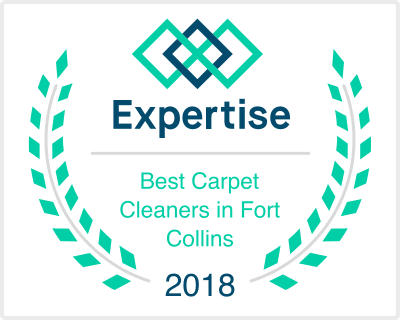 So, you search for the best carpet cleaning services Fort Collins has available is indeed now over. You can contact us here at Comfort Carpet Clean by either calling us or via our website and we will be more than happy to discuss your own individual needs and requirements with you.